This expert advisor trades 123 Patterns, a popular and powerful chart pattern. The pattern is made up of three price points: a bottom, a peak or valley, and a fibonacci retracement between 38.2% and 71.8%. 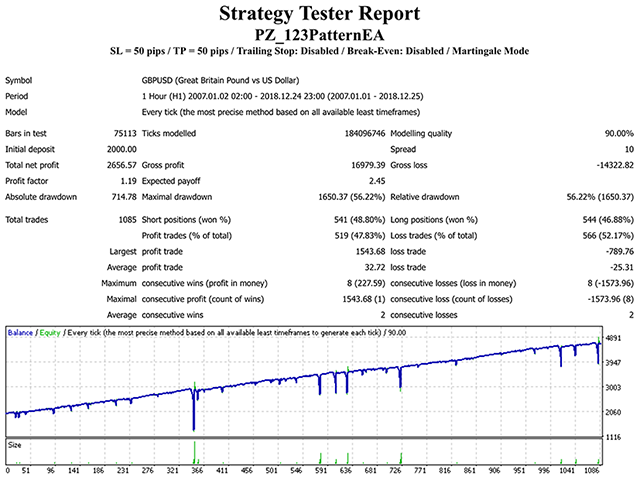 It uses the 123 Pattern Indicator, and implements many other useful features for the exigent trader, like customizable trading sessions and days, several trading behaviors and a martingale mode. Position Management - This group of settings applies to trading decisions and trade management. You can select trading direction, break-even in pips, trailing-stop in %, trailing-step in pips, stop-loss in pip and take-profit in pips. 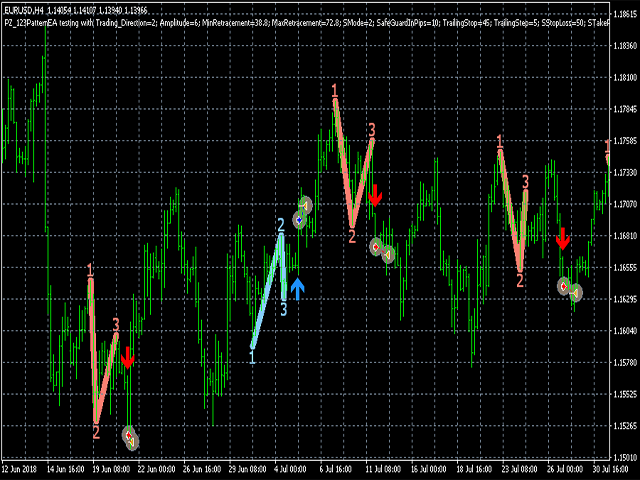 Trades can optionally be closed on opposite signals. Sessions Settings -Enable or disable trading for the Assian, European or American sessions, as well as trading week dayss, from Sunday to Friday.